You weren’t alone in thinking that it didn’t make sense to visit the Android Market to rent a video for viewing on your television. Google has combined its Android Market, Google Music service, eBookstore, and video rental program into a singular service called Google Play. 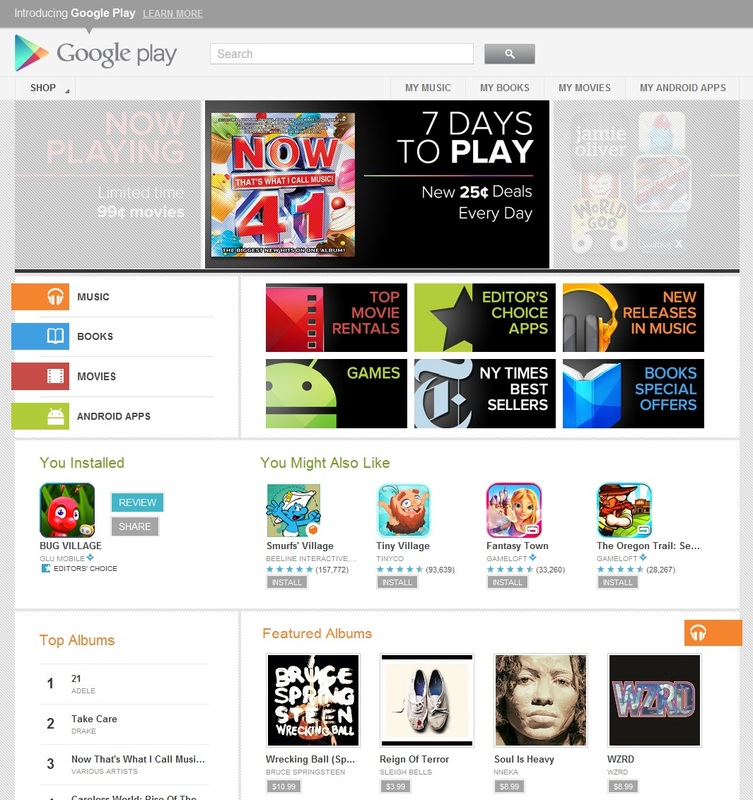 Google Play offers a one stop shop for just about anything Google has to offer. Apps, games, movies, music, and books are all instantly available from the renovated service. However, aside from the new branding, not much has really changed. Users can still upload thousands of songs to Google Play Music for free. Instant streaming is as free as ever. Renting movies, purchasing music, and downloading apps is no different. Google also plans to roll out several new Android apps in the near future, including Google Play Music, Google Play Store, Google Play Books, and Google Play Movies.